Powerful people live in a healthy way and courageously embrace challenges. They connect the dots of life to bring together purpose, partnership, and power to inspire others. 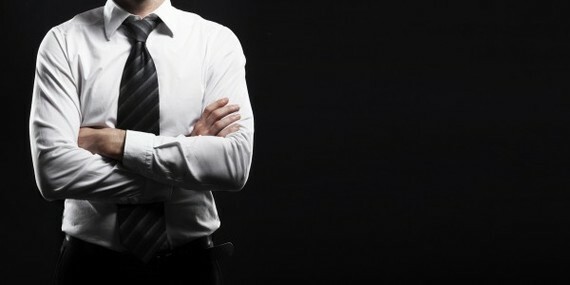 Check out these things that powerful people don't do so that you can become even more powerful. You don't see powerful people waste time finger-pointing. Instead, they take things on, do their best, and let the chips fall where they may. Their energy is infectious and spreads as it lifts and elevates others with a buoying effect, as they're willing to share a chapter of failure, knowing that it's only part of the bigger story of success. They're the first to dive in to change things for good and the last to take credit for it. When things go wrong, you hear them say, "Got this!" or just simply, "We're good." Powerful people don't complain about things they can't control. They stick with what's relevant: their influence. For them, change is something to be pursued and leveraged in the best way as a crucial part of life. If they had a fear, it would only be to not change, to become stagnate. Powerful people don't obsess (much) about what the next text or call or email will bring, as they recognize the key to everything is the personal touch of relationships. In conversations, they stay engaged and authentic with everyone, knowing that their greatest influence is to be found in listening, sharing, and joining forces to innovate together. They put away their smartphone out of respect, but also out of right thinking, knowing the difference between when it's time to be data smart and when it's time to be emotionally savvy. Know any imitators? Or, on the flip side, do you know people who do everything to be original to the extreme? Neither approach is best. Powerful people challenge the status quo in simple and potent ways, but don't constantly broadcast it to the masses. They innovate life in ways that create a strong demand for their approach and brand, and even changes the world. A powerful person matches their aspirations with actions and is fearless in believing, behaving, and becoming different for the sake of bettering others' lives. They have a healthy hatred of the status quo that assumes the good but embraces the great in others -- without sacrificing their own unique, one-of-a-kind vision. A powerful person won't be heard saying "I told you so." Instead, they create an environment where failure is not only accepted, but it's the path to success. When failure strikes, as it often does, they convert it to fuel. And it powers them through criticism, obstacles, and even their own shortcomings. They're okay with not knowing -- it's a go-to strategy, as they love surrounding themselves with other powerful people with diverse skills to achieve the impossible together. There's strength in dedicating time to personal creativity, and it's a key starting point for breakthrough thinking -- but a powerful person takes things to the next level by partnering with others in new ways. They love their work, but they don't let that stop them from embracing candid feedback. A powerful person is an open book and creates a refreshing environment of honesty everywhere they go. They speak respectfully of others, but don't hold back on describing reality, or painting their inspired vision of the future. We've all known people who haven't inspired us, right? A powerful person won't mentally beat others into compliance, but rather inspires them to become more and achieve their full potential. They know it's better to get to the top of the mountain and see fellow friends they've helped to become powerful rather than a bunch of people they've forced down on their way to success who'll forever resent them for it. Whether it's eating the right foods, working out consistently, or getting the rest their body needs, powerful people are in it to win it today, tomorrow, and till the end. They know life is filled with careers, changes, and countless opportunities that require the best from their body. What above stands out most to you? Is it unplugging from technology and being more present, becoming more inspired, and/or taking exercise to the next level? How will you become even more powerful today?